Republishing old blog posts has become increasingly popular among bloggers over the last few years. I’ve been doing this for about a year now, and I’ve seen spectacular results. I use a specific system for republishing my old blog posts, and I wanted to share that system with you. 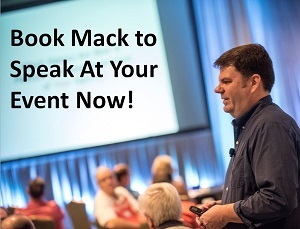 I’ve often talked about how you can greatly improve your content creation efforts by thinking like a rock star. In fact, one of the most popular posts I’ve ever written focuses on adopting a rock star’s mindset to your content creation and marketing efforts. 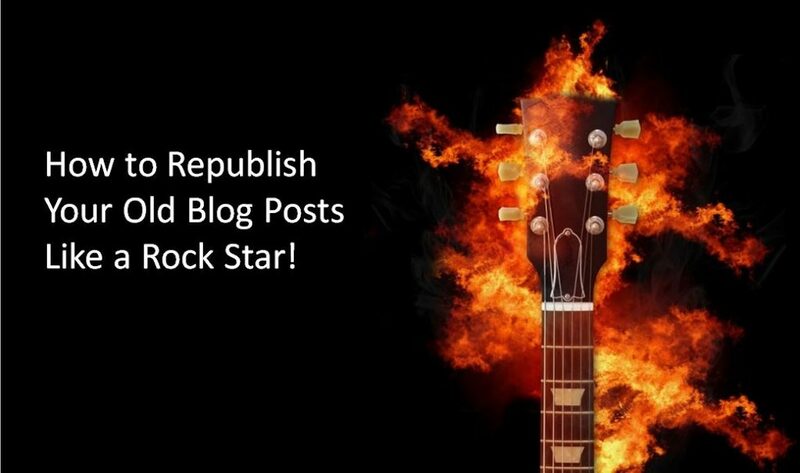 So let’s further think like a rock star when it comes to republishing our old blog posts. Every rock star who has been successful eventually has a ‘greatest hits’ album. Let’s say you are a fan of Soundgarden, and wanted to introduce your friend to the legendary Seattle band. You may decide to give them a greatest hits album from the band. In much the same way, you as a blogger should have a collection of ‘Greatest Hits’ posts. If someone was new to your blog and wanted to learn what topics you write about and are known for, what 10 blog posts would you show them? These 10 blog posts are your blogging ‘Greatest Hits’. And if you haven’t been blogging very long, you can go with your best 3 posts or best 5 posts. The point is to focus on your BEST work, the posts that you want to be known for, the posts that advance the ideas, thoughts and beliefs that you want to be associated with and known for. I started doing this last year with this blog. I went through my archives and found several posts that I thought represented my best work. I then whittled that list down to my 10 ‘best’ posts. These are the posts that I want to be known for and the ones that I want to promote and see be more successful. Your Greatest News, Now Remastered! Rock stars don’t just collect their greatest hits and resell them on a new album. They spice them up. They remaster them to improve the sound quality, they repackage them with additional information on how the songs were writtten, etc. All of this improves the quality of the songs and makes them more interesting and appealing to fans. First, I selected my list of 10 posts that I would republish. Then, I scrubbed the posts for any outdated information. Are there broken links? Old videos from YouTube that are no longer hosted there? Next I see if there’s any outdated information or stats that need to be updated. Basically, I start with making sure that everything in the post as it stands now is still useful. Anything that isn’t, gets stripped out. Then, I see what I can add. Are there any new studies or research that’s been done on this topic? Has my thinking evolved or have I learned something new that I could add to the post? By combining both these steps, I’m stripping out outdated information that no longer has value, and I’m adding in new information. The end result is that the overall quality of the post is improved. Finally, I ask what is the ‘bigger idea’ behind this post? What’s it about? What core topic am I wanting to discuss, and am I doing this as well as I can? Remember, these 10 ‘greatest hits’ posts are supposed to represent the core ideas, themes and beliefs that I hold dear. I also look at the post headline, and the post itself to make sure I am targeting the right keywords that are associated with the concepts I want to discuss. For example, if my post is about brand ambassador programs, then the keyword phrase ‘brand ambassador programs’ needs to be in the post headline if at all possible. But Mack, Can’t I Just Change the Date and Call it a Day? You can, but I wouldn’t advise it. Remember, these 10 posts are supposed to be examples of your best work. If all you can do is change the date of publication to today, is this really a topic you should be writing about? If I’ve written a post that covers a topic I am actually knowledgeable about, I can always find something new to add and a way to improve the post. Having said that, changing the date of a post to make the post ‘newer’ will typically improve your search rankings alone. Google wants to serve the most relevant and RECENT content to its users. If I’ve written a post on creating an incredible content strategy from 2010 and you’ve written a similar post from 2015, your post will typically be higher in search results for terms related to ‘content strategy’. So it’s my job to improve and update my post, and make sure it has better content than yours. Then I can update my post and give it a 2018 date, and guess what? My post will now show up higher in search results than yours. As it should, if my content is better and more recent than yours, it will and should be higher in search results. Last year I used this process to update several of my older posts that I wanted to be known as some of my ‘best’ work. It’s a bit hard to see, but the blue lines represent pageviews this year, the orange lines represent pageviews for this same time period in 2017. That’s an increase in Pageviews of almost 400%, mostly from doing one update and refresh of this post, which was originally published in 2013. Not bad, right? This post has ‘only’ had a 233% increase in pageviews, but notice that the increase was from 1,142 pageviews last year to 3,811 pageviews so far this year. But what I’m most proud about is that fact that this post now typically ranks on the first page of search results for the term ‘brand ambassador program’. For most of last year the post ranked in the Top 20 for that term, now it’s in the Top 10. This is huge for my business as helping companies launch brand ambassador programs is one of the key consulting services I offer. And even though both these posts are doing great, when I do my next update on my ‘greatest hits’ blog posts, you better believe I am going to again update both these posts. Every time I do, the quality and comprehensiveness of the post is improved, which makes it more valuable to readers, and helps it rank higher in search engines. Which drives even more traffic to the post. So go through your blog’s archives today, and find your 10 posts that are your greatest hits. These are the 10 blog posts that you want to be known for, the posts that cover the topics you want to be associated with. Update these posts, don’t just give them a new date, scrub the posts, remove any errors, grammatical or fact-based. Then add any new information that you think improves the quality of the post. This can include new studies, new research, etc. Also, consider adding new visual elements, such as updating the pictures used, or adding videos. The end result should be that you have improved the quality of your content, and that will increase traffic to your blog and to that content. As a bonus tip: Regularly promote these 10 ‘greatest hits’ posts of yours on social media. I have my 10 greatest hits posts, and I am constantly sharing links to these posts on Facebook, Twitter and LinkedIn. The reason why is simple: I want to remind people that they should associate me with the topics of these posts. Finally, check out ProBlogger’s recent post on republishing your old posts and why it’s a good idea. Useful information. I started republishing posts, with a similar process, a few years ago. In fact, I did it over the weekend and post-dated one of those hits from 5 years ago to come out again this week.